Queer electronica wizard TR/ST, the artist behind some of your favorite dark synthy club tracks, is back with a new album, The Destroyer, this April. Ahead of the release he’s sharing a new track exclusively with Out. “Grouch” bridges 80s drama and sound with a contemporary dream pop sensibility courtesy of TR/ST’s Robert Alfons. 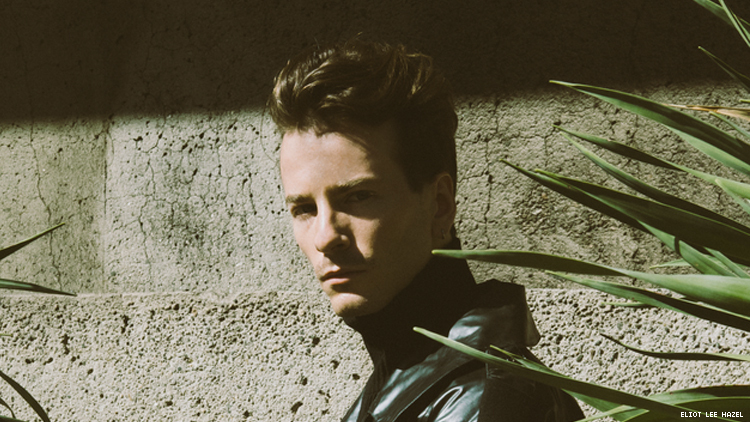 "I really wanted this song to convey a feeling of liberation and decadence,” Alfons tells Out. “Similar to my experience when I first heard Pet Shop Boys' Very album. Such emotion and drama. Even the CD's orange jewel case had bumps on it, so sensual." Alfons’ frequent collaborator Maya Postepski, who helped write and produce “Grouch,” says the song "makes me reminisce those awkward teenage romances, basement video games with the lights off, blasting music and escaping into [alternate] realities while being secretly in love with someone you were told not to." Listen to Out’s exclusive premiere of TR/ST’s “Grouch” below. TR/ST will release a follow up record, The Destroyer-2, this November.